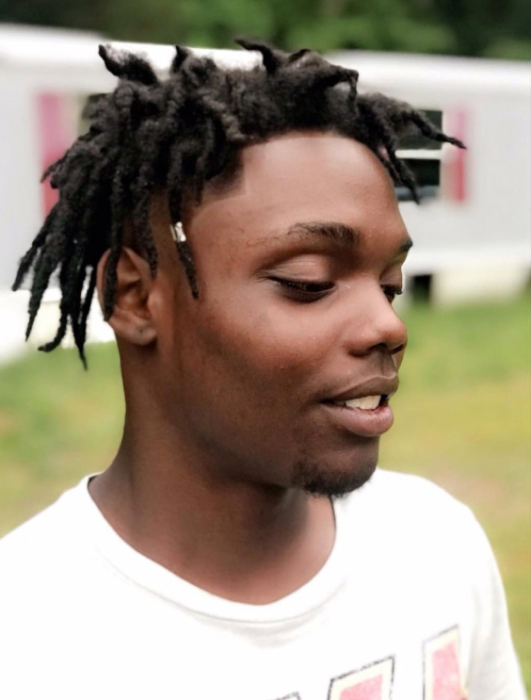 Hasaan Taufiq Burton, son of Jermaine Burton, Oneasha (Antwain) Wynder, Jonathan (Dorothy) Smith and Andrea Hilton was born April 11, 1997 in Nassawadox, Virginia. He departed this life on Sunday, October 7, 2018, Riverside Shore Memorial, Onancock, Virginia. Hasaan was educated in Kempsville High School in Virginia Beach. After high school, he went to live to live on the Eastern Shore with his father. Before his passing, he was employed at Perdue Farm, Inc.
Hasaan was known for his beautiful smile. He was very well mannered, polite, and had the deepest respect for his elders. He was popular with his friends and family. He treated all his cousins like brothers and sisters. He left an impacting impression on everyone he met. He loved and defeated in recreational basketball. He was a people person and was loved by most, like his maternal grandmother, Patricia Ann Preston. Hasaan leaves to cherish his beautiful memory, his parents, Jermaine Burton, Oneasha (Antwain) Wyner, Jonathan (Dorothy) Smith and Andrea Hilton. Nine sisters and brothers; Jayla Smith, Dorien Smith, Janae Smith, Imani Hilton, Seven Hilton, Jakari Foeman, Ameri Foeman, Kanazya Wynder and Antwain Wynder, Jr. Grandparents: Audrey Brisco, Penney & Rob Stines, Joann Wyatts. Preceding him in death, grandparents, Patricia Ann Preston, Ardell Manley, and Dynell Brisco, Annie B. Smith, and Joseph Smith. Edith and Samuel Waters. Aunts; Selana Preston, LaTasha Burton, His closest and dearest uncle, Parris Preston. Godbrothers and Godsisters; Quashia Reeves, Tyshanda Fichett, Marquel Fichett, Fredrick Williams, Freshonda Williams and Khlil Hawkins. Nephews and Niece: Cameron Coston, Justin Coston, Demarcus Kellam, Karter Reaves. His best buddies/cousins; Diquan Burgess and Lynique Beckett. Godmother, Otesa Mitchell, Roland Fichett. A host of great-aunts and uncles, cousins, and friends.